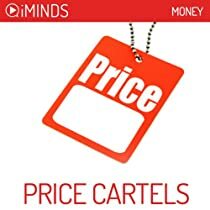 Learn about Price Cartels with iMinds Money’s insightful fast knowledge series. A price cartel is a group of companies that have a formal agreement to fix prices. Companies that form cartels operate within the same industry and, in theory, should be in competition with each other. By forming a cartel, the companies create monopoly power that can be used to increase profits. Where there is an informal rather than formal agreement to fix prices, it is called collusion. Both cases are anticompetitive and breach Antitrust and Competition law in most countries, though there are exceptions.Cartels often form when there is an oligopoly present in a market. A market with theoretically perfect competition is one that contains many small competing companies. The opposite of this ideal is a monopoly, where one large company controls the entire market. An oligopoly exists between these two extremes, though it is closer to a situation where a monopoly exists. It is where there are only a few large companies operating within a market.iMinds will hone your financial knowledge with its insightful series looking at topics related to Money, Investment and Finance.. whether an amateur or specialist in the field, iMinds targeted fast knowledge series will whet your mental appetite and broaden your mind. iMinds will hone your financial knowledge with its insightful series looking at topics related to Money, Investment and Finance.. whether an amateur or specialist in the field, iMinds targeted fast knowledge series will whet your mental appetite and broaden your mind.iMinds unique fast-learning modules as seen in the Financial Times, Wired, Vogue, Robb Report, Sky News, LA Times, Mashable and many others… the future of general knowledge acquisition.